Ever wondered how the fascinating Japanese woodblock prints are being made? Take part in a demonstration held at the Tokyo National Museum in January and March 2019! Woodblock prints (hanga), also known as ukiyoe, are a type of Japanese art that flourished in the Edo period (1603-1867). These prints are easily recognizable by their vibrant colors and stylized compositions that usually reflect scenes of everyday life in Edo (17th-19th century Tokyo), landscapes, famous actors or beautiful women. 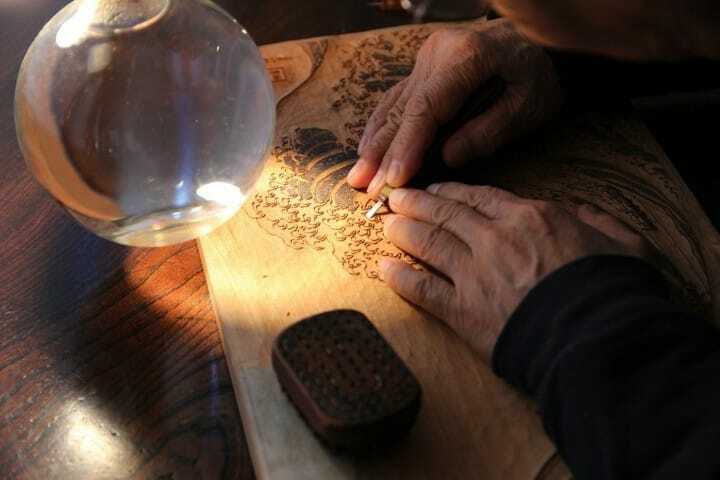 The creation of woodblock prints is a painstaking process that involves the work of four different craftsmen: the illustrator (eshi) who draws the image on paper, the carver (horishi) who carves the image into a woodblock, the printer (surishi) who uses the woodblock and colors in order to reproduce the original image, and a publisher, who plans each work by observing the social trends and sells the work. One of the most famous woodcut prints of all time is the "Great Wave off Kanagawa", created by Katsushika Hokusai (1760-1849). The Adachi Foundation for the Preservation of Woodcut Printing will hold demonstrations of woodblock printing using the "Great Wave off Kanagawa" as an example on January 26 (Saturday) and March 30 (Saturday), 2019. The demonstrations will be hosted by the Tokyo National Museum, which is located in Ueno Park, Tokyo. Admission is free for everyone who visits the museum! Admission: free for those who visit the museum.